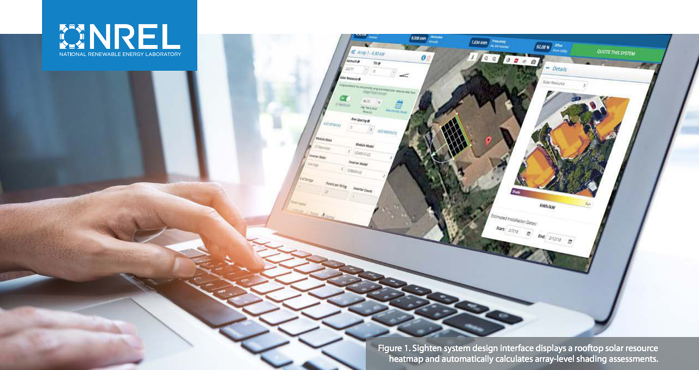 The NREL study compared Sighten’s software-generated shading assessments to on-the-roof measurements across 81 sites and found Sighten’s solar access values (SAVs) to be within ±1.95% of rooftop measurement data. For solar installers using our software, this ability to automatically generate accurate solar resource assessments represents a step change in efficiency, significantly reducing the time and cost of a solar installation. The cost of analyzing site data and conducting an on-site assessment before a proposal is estimated to constitute 55% of the customer acquisition and engineering design costs for residential solar photovoltaic installations. Accordingly, NREL estimates that bid preparation software tied with integrated shading analysis can save $0.17 per watt on a 5-kilowatt system. I used to have 3-8 kickbacks a month from jobs that didn’t properly take into account the shading. Now I have zero. This is a meaningful time savings for me - it’s one less thing I have to think about or do or review or check. It also saves on cancellations. Reducing change orders means installers can operate more efficiently and homeowners have an easier time putting solar on their roof. At a time when installer margins are being squeezed by everything from changing utility rates to solar module tariffs, we know that every dollar and hour saved makes a difference - and we’re proud to have NREL’s validation that our tool is delivering real value for our customers. We founded Sighten to provide software that helps solar companies operate more efficiently and grow their businesses. Having NREL validation of our shading tool is an important milestone, and provides further assurance to our customers that Sighten software can have a significant impact on their business. Interested in using Sighten for shading, proposals, and more? Contact info@sighten.io!